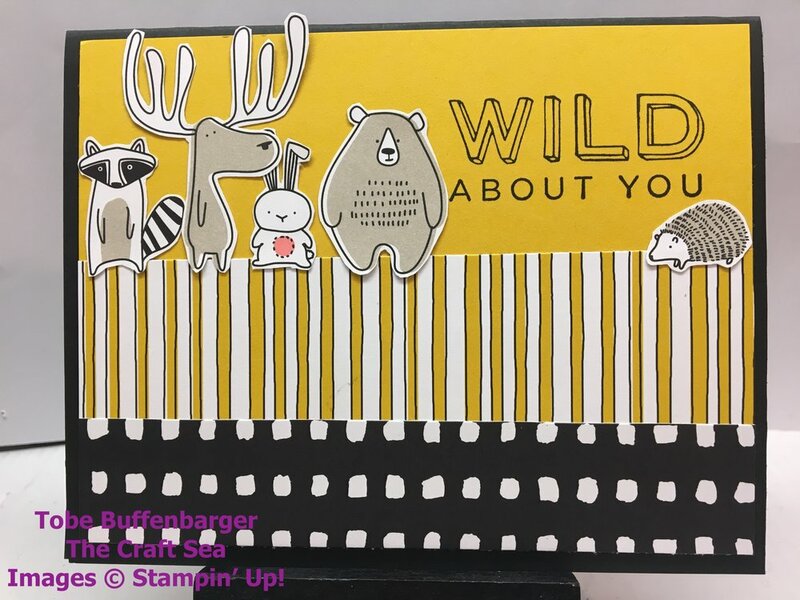 I just had to make another Pieces and Pattern card featuring all the fun little animals featured in the paper. I painstakingly cut out each one of these animals to add to my card. I contrast with the animals, I kept my DSP strips and cardstock simple with a black and Crushed Curry color scheme.